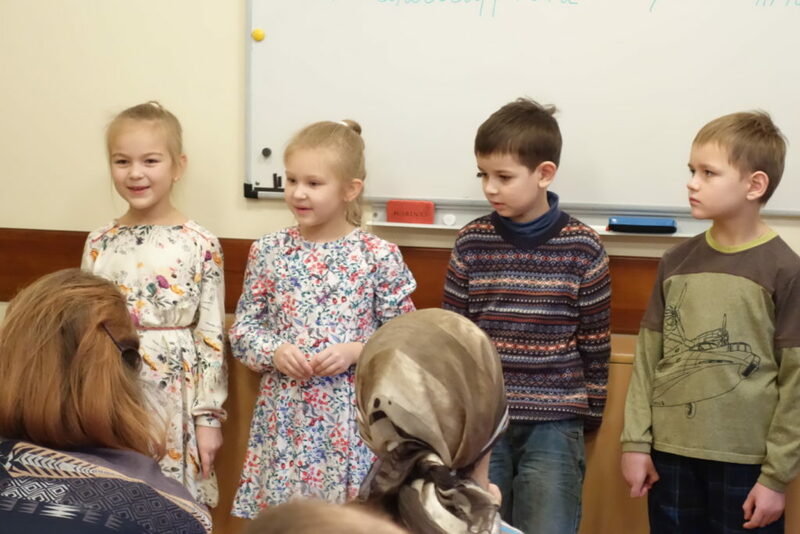 Since Russia has so swiftly become the world’s official bulwark of conservative values, it is quite surprising that it has systematically lagged behind in one obvious realm: Homeschooling. For most Russians, homeschooling has always been enveloped in a fantastical aura, something associated mainly with special needs and/or with Amish-like Protestant groups in America. But lately, as more Russian Christian families gain a voice, energized by growing state supports and society’s intensifying religiosity, the demand for alternatives to the official public school system, corrupted by materialism and Darwinism during the Soviet Regime and, now, by liberal values, has grown more popular and apparent. A new film by Alexey Komov about the disastrous consequences of Soros-funded educational reform in 1990s Russia based on the American model, the problems in American school systems, and how home-schooling presents a solution to the crisis. A Russian version of the film can be found here, with full transcript (in Russian). More and more Russian parents are frightened and reluctant to hand over their child’s education into the hands of strangers, realizing, that in doing so, they are also relinquishing the moral upbringing of their own child, and allowing them to become inculcated with morals and values that may be completely foreign. This is where Alexey Komov and Irina Shamolina, the pioneers of homeschool in Russia, come in. The Russian couple, passionate about education, homeschools their three sons. Irina leads a popular blog about education and Alexey is the representative the World Congress of Families in Russia. Both have been fascinated by, and intensely studying, homeschooling since 2012. With time, they came to the conviction that homeschooling options were urgently needed in Russia. They traveled incessantly to the US, which has the most developed homeschooling systems in the world, trying to learn about and experience the lively Christian homeschooling scene of the country. They finally settled upon the Classical Conversations, a Christian homeschooling organization, started in the 1990s by Leigh Bortins in North Carolina. The model creates communities of homeschooling Christian families that meet weekly and aims to teach children in a classical manner. It is based on educational theories gleaned from Ancient Greece and the Trivium concept of the Middle Ages. Thus, the child is homeschooled for most of the week, and the parents nurture and teach their own child within their intimate family circle. However, this system also addresses the need of the child--and the often ignored need of the parents--for socialization and community with like-minded people with weekly meetings. These meetings ensure that children develop skills that parents with less education training may struggle with developing in their children at home. Aleksey Komov and Irina Shamolina adopted the existing Christian homeschool curriculum and translated the resources. They also worked to adapt the program to a Russian Orthodox perspective, making it relevant to Russian culture and reality. They found American supporters, and along with other Russian enthusiasts, helped them create a utterly beautiful website. The program launched this fall, 27 city and 370 kids in Russia, Ukraine and Belarus strong. It has met with unexpected, live interest and seems to be turning into a movement among Russian Christians. Importantly, Classical Conversations in Russia also immediately received wildly enthusiastic support from one of the most famous priests in Russia, Fr. Dmitry Smirnov. Fr. Dmitry is incredibly popular and has a huge audience, perhaps bigger than that of any other religious figure in Russia. He is also the head the of the Russian Church’s Department for Family. Education happens to be Fr. Dmitry’s pet peeves and he advocates homeschooling in many of his sermons. He is convinced that school corrupts the child's mind, and is a highly artificial, unnatural, and destructive environment for growing children. He insists that the ideal environment for the child is the home, full of siblings and lots of love and faith. Fr. Dmitry devoted one of his interviews on his highly popular blog Classical Conversations, interviewing the American founders, as well as the Russian founders. Naturally, as a result, many members of his fan base decided to try out homeschooling. The movement is gathering more power with every month. According to the founders of Classical Conversations: ‘Firstly and foremost we are a community of families.’ In other words, the idea is that the family units, working together, provide emotional and spiritual support for each other in their lives and service to God. This stance echoes with modern Russia’s preoccupation to strengthen and rebuild family units; both to counter a population stump and to lead lives most fitting to the morals of a Christian society. The families meet for group classes every week. Each meeting begins with prayer and parents are required to come, simply because Classical Conversations model creates a really wonderful support system not simply for children, but for parents as well. Parents involved in Classical Conversations are also given opportunities to attend free, three-day workshops, that teach practical strategies for improving their teaching skills and refreshing their knowledge of more complex subject matter. The philosophy of Classical Conversations stresses family education as a system where God is at the center of the family and the community. The Classical Education model breaks down schooling into 3 major phases. The first one, called ‘Grammar’ refers to teaching students skills for learning and retain information (knowledge). the third, most sophisticated tier, refers to using, presenting and sharing knowledge with others as well as serving Truth over oneself (wisdom). Much emphasis is put on presentation skills throughout the entire curriculum, as sharing knowledge and learning to present information well is considered to be key in one's education. All in all, homeschooling has found itself a new home. And it has all the potential to thrive in contemporary Russia, which may offer the most fertile ground in the world today for a system that supports Christianity, community, and family.